Analog PBX VoIP is telephone system that is capable of handling calls and phone logs.Analog PBX is a traditional PBX system which require extensive phone wirings. 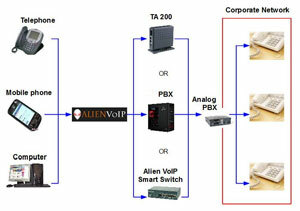 AlienVoIP is connected to either TA 200, PBX or Alien VoIP Smart Switch in Analog PBX. 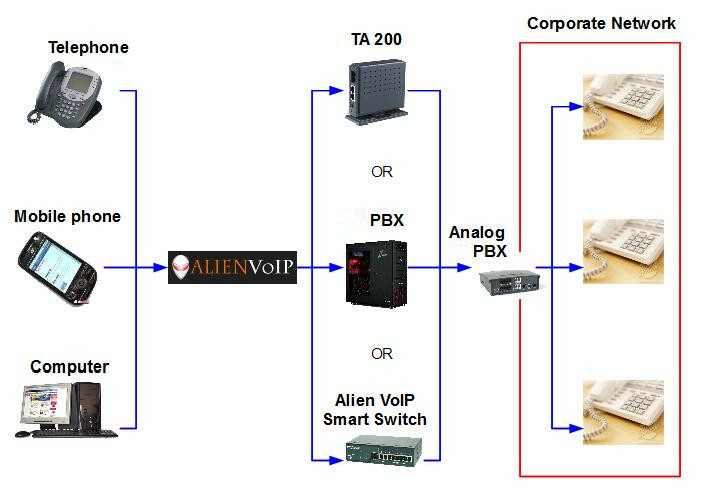 Activating your AlienVoIP SIP account, the Analog PBX can enable you to make calls to PSTN network. 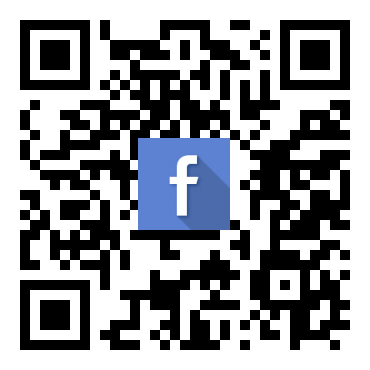 This is because of our mobile phone and telephones or computer are stay in PSTN network or GSM network. 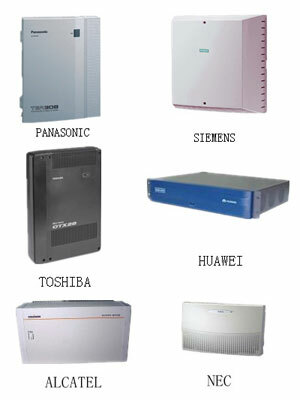 By using AlienVoIP SIP account in Analog PBX, the whole office will benefit from the conventional method.